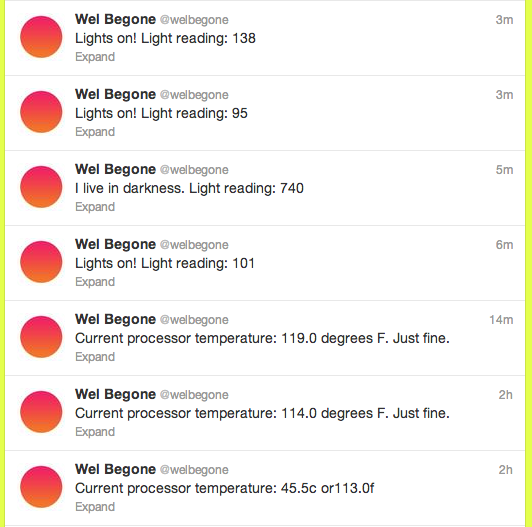 I made a Twitter account for my Pi, @welbegone. I set it up using a super-simple Pi + Twitter tutorial featuring the Python library Tweepy. Next steps: hook it up with some more interesting data!